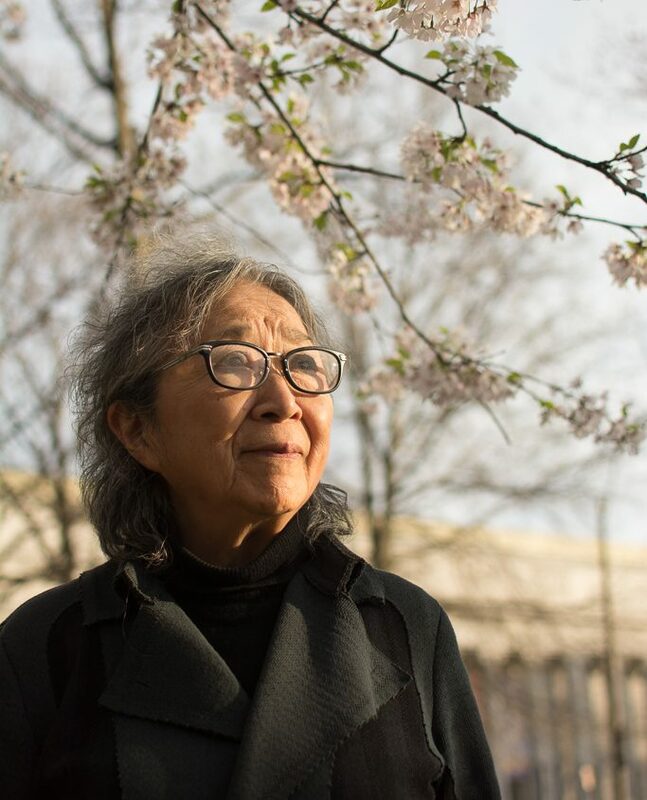 The Emerald Necklace Conservancy wishes to extend our deepest thanks to the individuals, organizations and partners who have worked or contributed tirelessly to making Fog x FLO: Fujiko Nakaya on the Emerald Necklace and our other 20th Anniversary initiatives a reality. We also want to thank every person, performer and pet who visited, shared and created with Fog x FLO. 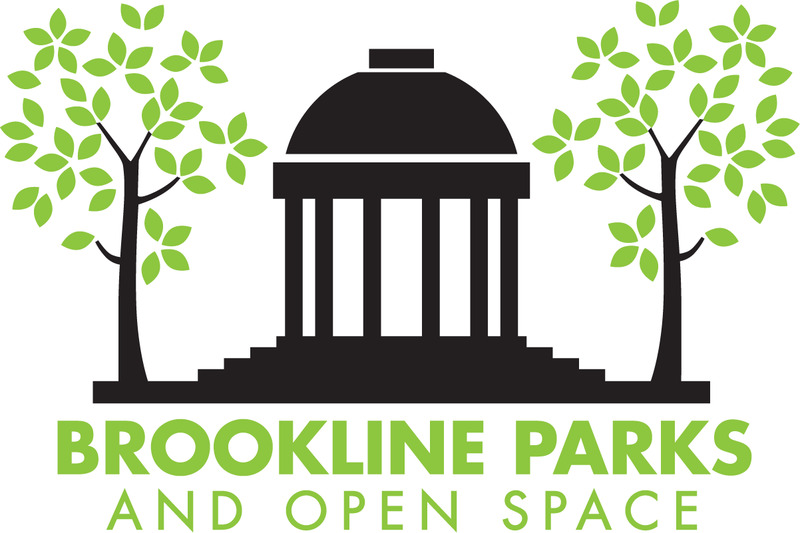 We hope you’ve enjoyed this exhibition as much as we’ve enjoyed presenting it to the people of Boston and the Emerald Necklace parks. Stay in touch! The installation of Fog x FLO would not have been possible without these individuals: Dan Adams, Marie Law Adams, Zach Angles, Jeff Antonellis, John F. Bailey, Owen Bailey, Michael Bartlett, Chris Bocchiaro, Tom Brady, Anibal Cordon, Sam Dagmajyan, Zach Dobryn, Josh Dube, Margaret Dyson, Liam Fleming, Sarah Freeman, Ryan Frost, Erin Gallantine, Clay Harper, Jose Hernandez, Benjamin Kannel, Noriko Koshida, Peter Ladas, Brian Maltby, Luke McKinnon, Paul McCaffrey, Mike Melito, Jen Mergel, Greg Mosman, Fujiko Nakaya, Glenn Reed, Dafne Saint-Hilaire, Patrick Sleeper, Stephen Schneider, Dave Sola, Jason Steeves, Shiro Takatani, Nathan Venne, Josh Vokes, Sarah Vogel, Alysoun Wright, Shiro Yamamoto and the dedicated staff of the Emerald Necklace Conservancy. Fog x FLO would not have been possible without the professional services of: consultants John F. Bailey, Edwina Klünder, and Jen Mergel; Asfalia LLC; Capron Lighting & Sound; Comak Brothers Landscaping; Commonwealth Scaffold; Design by Chris Bocchiaro; Fleming Brothers, Inc; Landing Studio; Maltby & Company; Mee Industries, Inc; Processart, Inc. and artist Fujiko Nakaya. 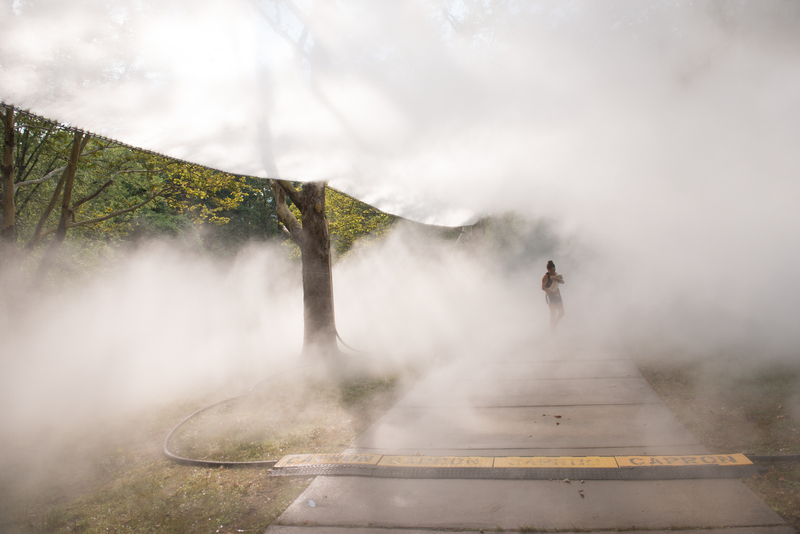 The Conservancy welcomes to Boston and Brookline Fujiko Nakaya’s first extended citywide exhibition of multiple “fog sculptures,” marking her five decade career with works at five sites along the historic urban parks that link more than a dozen neighborhoods, and provide a natural, recreational and cultural conduit for the community. 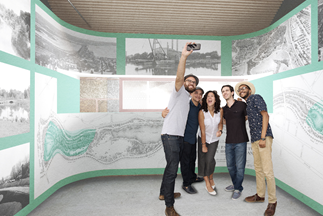 Created in response to the landmarked waterways and landscapes designed by Frederick Law Olmsted (FLO), Nakaya’s “climate responsive” shape-shifting, pure water forms invite visitors to immerse themselves in the art, experience nature anew, and appreciate the vital role of the Emerald Necklace in our city’s history, present, and future. Organized by the Conservancy with curator Jen Mergel, this FREE public art presentation is on view every day, hourly from 8am to 6pm, through October 31. Learn how to visit! 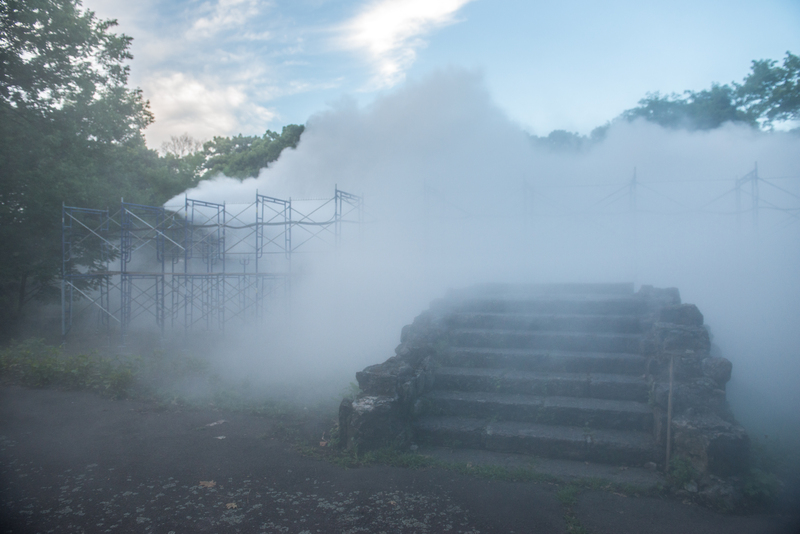 Nakaya calls fog “the most generous medium” and has collaborated for decades with artists, musicians, designers and more to transform her fog sculptures to “fog performances.” Artists in the Boston area are welcome to submit proposals for events. Check our calendar for a schedule of fog events! 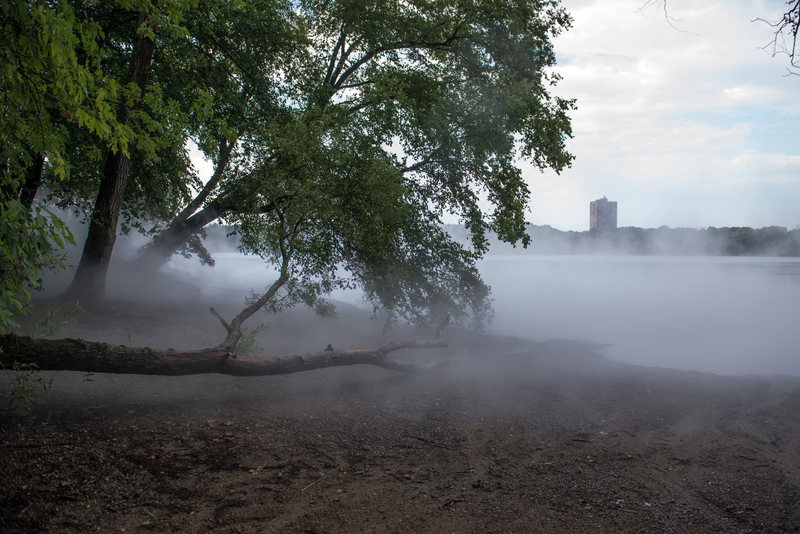 The temporary exhibition Fog x FLO provides an opportunity to pilot new way-finding approaches to the art, and to other destinations within the Emerald Necklace parks. Through temporary signage and smartphone app, visitors can track distances and travel times between park sites, directions to nearby amenities and from nearby neighborhoods. Stay tuned for these way-finding helpers to add content and context to your experience of the parks. 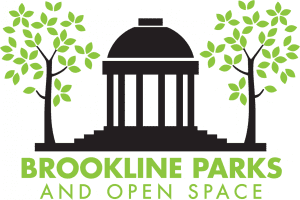 New displays have come to the Shattuck Visitor Center, located in the Back Bay Fens at 125 The Fenway (footsteps from the Museum of Fine Arts Boston and Northeastern University). Since 2011, the H. H. Richardson-designed gatehouse has served as a headquarters for the Conservancy, but with new exhibits, visitors will be able to learn more about Olmsted, and the history of the Emerald Necklace, the Conservancy, and more. We invite sponsorship support of our 20th Anniversary from individuals, foundations corporations. Supporters receive benefits including visibility, special access, invitations to events, and more. 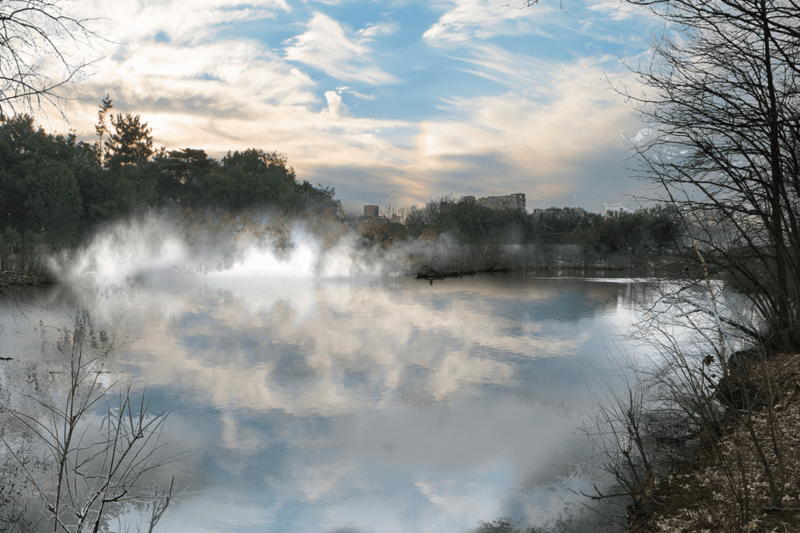 Rendering of Fog x Island (#72509_Leverett Pond), island fog on Leverett Pond, Brookline. 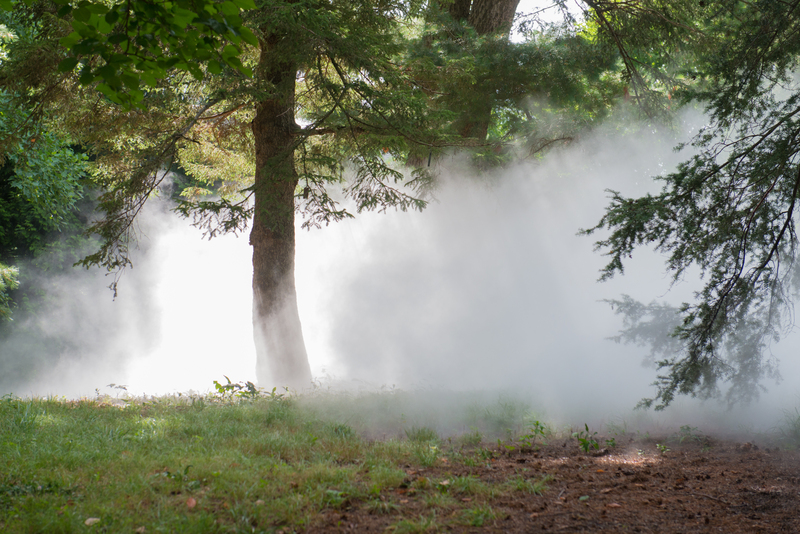 Courtesy Fujiko Nakaya | Processart Inc.
Fog x FLO: Fujiko Nakaya on the Emerald Necklace and other 20th Anniversary programs are organized by the Emerald Necklace Conservancy in partnership with the City of Boston, Town of Brookline Parks and Open Space Division, MA Department of Conservation and Recreation and the Arnold Arboretum of Harvard University. Presentation is made possible with the generous support of Barbara and Amos Hostetter, High Meadows Foundation, Fotene Demoulas and Tom Coté, The Boston Foundation, Tom and Lisa Blumenthal, Brooke and John Cook, Plimpton Shattuck Fund, Kate and Ben Taylor, The Japan Foundation, Fish Family Fund, James and Audrey Foster, Kohlberg Greer Fund, Eugene M. Lang Foundation, Dr. Barbara Millen and Family, Samuels & Associates and an anonymous donor. Media sponsors: Boston magazine, The Boston Globe.